What are Buttons and Do We Really Need Them? Since the dawn of graphical user interfaces, we’ve been using buttons. Consider that Xerox PARC’s original GUI is 44 years old, yet our user interfaces still look remarkably like it. I recently traced the history of button styles by creating the Dribbble Timeline. Though buttons evolved in sync with current trends and alongside technology, their origin is undoubtedly inspired by real objects of the past. For more than a decade, we have been creating devices without a physical interface—that don’t depend on human touch but can be activated by voice or gesture. Why do we persist in creating shapes with which to interact that are based on the familiar objects that surround us? The shape of a digital button is still modeled on tools and mechanisms we developed in the 19th century! We have created completely new, smart electronic devices—we can handle them in almost any way we choose, but out of laziness or force of habit, we continue to force our users to click on a tricky little area just a few pixels wide. It’s time to do something about it—it’s time to think button-less. A “button-less utopia,” is a concept where any attempt to hold on to over 130 years of the way things have always been done is completely shattered. The future is now—we must move on and divest ourselves of our predecessors’ outmoded solutions. Is it possible for us to imagine an interface completely free of buttons? Something so intuitive, that just by looking at it, you will know how to act? It no longer needs to be only in our imaginations—these interfaces already exist. Can we, once and for all, eliminate the venerated button? Microphones, cameras, touch screens, vibration, accelerometers, gyros, GPS, extended reality, virtual reality—the list goes on—and all this handled from your smartphone or PC. There is no longer any reason to continue forcing your users to press that one tiny rectangle. Have you read Type Design—Toptal Designer Michael Abehsera’s concept where interfaces are devoid of any graphic element, and where the only thing that matters is content? Many of you asked: “What about buttons?” We don’t need them any longer—let’s eliminate them completely. Facebook just asked, “What’s your mood?” No need to press a button to answer—use your voice—just tell it you feel great and head for the beach. Then drag the text that Facebook recognizes from your response to where you want it to appear. Like an article on Medium? A while back on Medium you could simply “recommend” an article. Today we click “claps.” So “clap.” What if there was no need to click this odd little button, just literally clap? What about some more complex actions? Such as a checkout in an online store. Drag-and-drop an item into the shopping cart, swipe to proceed to checkout, then confirm it with your fingerprint. Easy peasy. Let’s start with the surfaces we currently touch to perform an action. Given that the vast majority of modern day graphical user interfaces are touch screen displays—often handled with our thumbs—it stands to reason that such interfaces will be with us for a long time. And we will definitely have that irresistible urge to tap—touch is our most important sensation after all. Touching the surface gives us a sense of real action, of control. How would it be, that instead of clicking on a particular point, we taught our users to interact with the entire surface? Have you ever seen a button that allows you to browse an Instagram Story and return to the previous Story? Probably not, because all you need do is touch the left edge of the screen to make it happen. Users have come to expect new ways of interacting with our digital products, and it often does not involve a button. Cards are responsive on all of their surfaces; by clicking on any word, we expect to find its definition; by touching pictures, we expect some action. Users are already accustomed to the fact that entire areas respond to touch. We understand gestures very well because they are natural to us and reflected in our physical actions. Currently, almost every application uses them to speed up navigation; we can double tap a photo instead of pressing it like a button; we can swipe to browse the gallery; or pinch to zoom any content. We make gestures not only on flat touchscreens—gestures are also performed in AR and VR spaces, where we can navigate with our entire body. Siri, Cortana, Alexa, and Google Assistant are all up and running. Many argue that voice interfaces are the future—it’s hard to disagree as their potential uses are beyond number. We can control vehicles, smart buildings, and machines simply by talking to them—just like we talk to a real person. With artificial intelligence and machine learning, machines are now able to understand our language more and more accurately. We are no longer confined to pronouncing carefully scripted “magical spells”; we can speak in full sentences. By using speech, we can move freely in the world of money transfers. 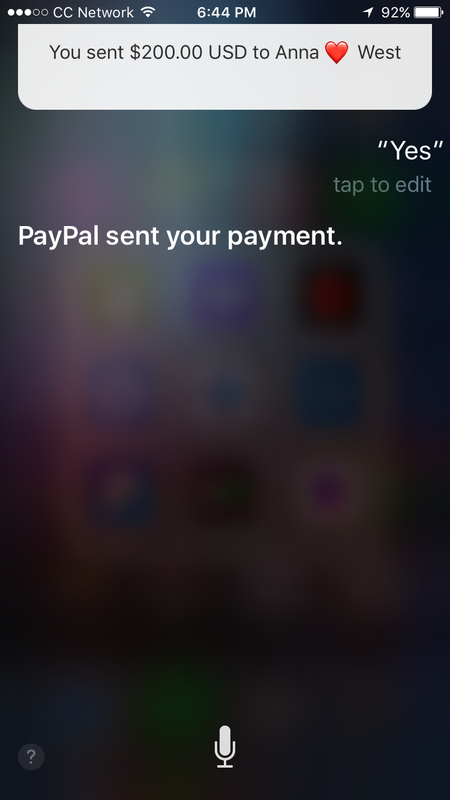 Currently, Siri allows you to transfer money via PayPal to another person using only one quick request: “Siri, send $200 to XYZ using PayPal.” No buttons—the only confirmation and security check required is Touch ID. Smile to pay? It’s here! Alibaba and KFC jointly launched a system that allows you to pay by simply smiling at the camera—no buttons to press. The system works on facial recognition and is now available in China. Another example of a physical action that will hasten the demise of buttons is simply being close to the device. Let’s look at the iWatch, for example—just pair it with your laptop and stand by to unlock your MacBook. Wearable devices can be used to confirm our identity as well as intelligently predict our needs based on location and sensor data. Thanks to them, we can already avoid using buttons on many interfaces. Let’s not forget about the technologies that have been widely available for several years. One is the gyroscope—available in almost every smartphone, but rarely used in interfaces. Above, you can see experimental interfaces created by Patryk Adaś. The time has come—technology is overtaking us. We the designers MUST pursue it… and be sure to catch up! Awesome ideas. But it seems to me that, when you tap on a screen, independent if that is a colored rectangle, you're using a button! To completely eliminate button, we need to eliminate any finger tapping event. In my humble opinion, I don't see why worry about it. Though there's a point to be made about simplifying interactions and making them more intuitive, taking your hands off your mouse or putting down your phone down to clap for a few seconds to approve of a Medium article isn't an improvement. Let's not mistake short-term "coolness" for practical UI & UX. Or having to draw a heart every time you wanted to like a photo on Instagram, that would get old pretty fast. Gestures are great and very useful if handled right, but on-screen buttons aren't going anywhere anytime soon. @PaulCormier:disqus Yes you are right. I'm glad that you went through this concept! I've made it just to inspire people, and prove that we don't need buttons anymore. Imagine if you didn't have to touch anything, your mouse or touchpad – because computer could use a cam to track your eyes. Wouldn't it be nice to clap to appreciate an article :) ? Thanks a lot! I'm glad that you like it! @jmdeoliveirajr:disqus Thanks! I don't want to eliminate tapping at all. I see touch as our strongest sense - I just think we don't have to tap a specific point on our screens to take some action. "Touching the surface gives us a sense of real action, of control. How would it be, that instead of clicking on a particular point, we taught our users to interact with the entire surface?" @rafar_rlp:disqus On Instagram – no ;) But how about showing some love to someone when she or he sends you some photos in Messenger? Then the person receives exactly the heart you drew. I think it's all about not limiting yourself and trying to be creative – then it's easy to find the good solutions. Great article! I actually like where interface interaction is going with this possible "no buttons" future. I'm very intrigued on what will be the accessibility aspects of this. Maybe adding both voice and gesture for the same actions so people with disabilities can perform the same actions with one option or the other. UI designers usually have no idea about good design, they think they do and heap praise on themselves for being so clever - you are not! You are a bit like 60 and 70's building architects - You know the buildings that are hated by most and pulled down when we can afford it! If the user has to think about the UI, then you have failed, If a user has to relearn basics then you have failed. if a design caters for a fad - you have failed. If the UI requires an unsual sense - you have failed Unfortunately a lot of new UI design are bad, done more to appease the marketing and the 'arty farties' in the company. Your users aren't all teens or in their 20's. Buttons are natural, they are what we as humans use, we all understand them young, old and in between, from all cultures they make sense - they are a familiar tools! Gestures are confused cultures - Give someone the thumbs up, will you be greeted with a smile or a thump on the nose (one of the few gestures with known universal meaning!)? As for voice input - its the most annoying and irritating form of control imaginable, especially for those in close proximity to the user. Just waiting for the term AI bot rage to be coined. Keep it human and remember you are dealing with people who actually want to use something not praise a work of art..
Well send them a hand drawn heart - nothing to do with a UI! Wow. I'm actually wore out after seeing all the Buttonless UI examples. Handwaving, talking, and clapping wasn't the better UI experience I was thinking about as I ironically clicked the button to read this. But it was still interesting. Thanks. I like your thought but the counter intuitive approach of reinventing the wheel isn't going to put us with a new superseded design for it. The thought is intriguing but we as experience designers need to consider the fact that conventional practices along with great usability index will always win against unconventional or new practices. The Fitts's law very well establishes the importance of size and distance in UI design and breaking that law will not be good for business. Your idea of page scrolling through eyes. It's stupid. Do you know a human eye registers no rotational displacement with field of view less than 1.57 radians. Considering the optimum distance from the users eyes and the screen, he might barely move his eyes in the middle section and God knows how the web cam would be integrated the webpage with retina tracking technology that would measure the eye ball's rotation angles at such minute fractions. I believe you might want to re-edit the article. Lovely idea...working on this right away! Stupid ideas win at the end....! Absolutely correct...Thinking about this also! Thank you. – Yeees! We can definitely do a lot for people with disabilities, we just have to follow the newest technologies. Thanks for your comment. I can partially agree with you as long as we talk about the present. My point here was more about long term view on user interfaces. Devices are getting smaller and yet more powerful. We already got an access to the technology that allows us to do everything I've mentioned in the article. I believe it will be widely accessible in our everyday live. My main concern here was to inspire designers to get out of the box of technology limitations. I'm glad that you find my article an interesting piece. I hope you will get back to this article some day to clap and to appreciate it 😂 . Thanks for your well-judged feedback! I agree with you on some points. My point was to inspire people with almost endless technological possibilities, not to provide ready-to-go solutions. "If a user has to relearn basics then you have failed. " – I cannot agree here. If the new type of interaction is well-linked to the process it's natural to learn and adapt it. What could happen if you showed a light switch to the medieval people? Would it be intuitive to use it? I leave it as an open-ended question. OK, so here's the author's base premise: "Why do we persist in creating shapes with which to interact that are based on the familiar objects that surround us? 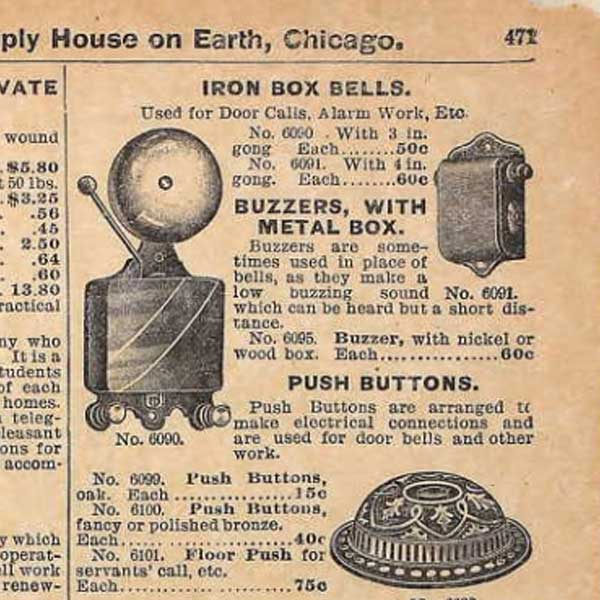 The shape of a digital button is still modeled on tools and mechanisms we developed in the 19th century! ... but out of laziness or force of habit, we continue to force our users to click on a tricky little area just a few pixels wide." I agree with @deOliveira. The author's examples are loaded with "buttons"... The links, the carousel, the close "x", in fact every element on the screen that one touches/clicks that result in an action is--in broad terms--a "button". And some suggestions are even more cumbersome... "Clapping" (multiple actions) at my screen instead of one simple click? Wow! (BTW, who would want to be in an office full of people clapping? Like some of the voice "solutions", options need to be balanced with privacy/environmental concerns.) Perhaps the author is thinking ahead to the "future" by suggesting to today's designers to "rethink touching pixels" as the best option. Yet I think it safe to say that Touch, Voice, Gesture will all be UI options of the future... The better advice--I think--is to rethink how you DEFINE a button, i.e., the UI action that causes an action and yes, it does not have to be a "square"... duh! Given TODAY's technology and most likely into the near future... touching/clicking pixels will remain a fundamental tool for user interaction. Amazing article. Thank you. I can't wait to see them challenge the perception that 99% of us live in penthouse Ikea apartments with polished bamboo floored living rooms the size of a swimming pool and all we own is the latest macbook and iphone. Appreciate the initiative and i like the post and conversation. What @brianm101 given words but, truly these are factors of management. You are good in one factor and poor in other then the complete design story fails. Creativity ----- never makes a good design. Market and designers are making them fool. Inspiring creativity in your mobile app development always makes it successful. Thanks for building this forum and bringing this topic. For me it is unprofessional for a designer (No offense pls...) if they say "If a user has to relearn basics then you have failed. " – I cannot agree here". "Well-linking process will teach a smart user to a Advance user". Does it mean you will ignore the new or dumb users? Can we use category based multi UI layout for a single app (that to be in Mobile, Smartwatch...)? Answer is NOOOO... This means i am a good designer but not a good manager because my approach defines to ignore and loose a category of user base. I believe invention will attract new generation users. But Old generation are accounts and gives us business so i will take cautious step. These are all nice "enhancements" but the reason a button sticks around is because it's simple and it works. For sure hide buttons if you can (infinite scroll loaders are an example of this pattern applied), investigate new methods, but don't kill the button because it's basic. By nature, an input is always receiving the information that it is designed to receive. If it is not receiving that information, then it is not an input. Your microphone is not an input until it is switched on. A button is always receiving information. The information it is receiving is binary: Is the button being pushed or not? At any given moment, the button is receiving that information. That's what makes the button useful. That's ALL the button knows. You probably are not troubled by the fact that the button knows whether you are pushing it or not at all times. In order for a microphone to be an input, it must be receiving sonic information. In order for a motion tracker to be an input, it must be receiving motion information. Neither of these are things you want to always be providing. You do not want a piece of technology connected to the internet to always know what sounds are coming out of your vocal chords (or other organs). You you most certainly do not want a piece of technology connected to the internet to always know what your hands are doing. You must be able to disable those two inputs, so they cease to be inputs. In order to do that, you must have yet another input that can always be "listening", even when the others are not. A button is the only one you should be comfortable with always being on, because it receives so very little information about you. In other words, even in a world where almost every function is controlled by complex 4D inputs, there still need to be crude, uncool buttons that turn those fancy inputs on and off, lest the machine (and its creators) have access to more information than you would want. So, no. Buttons aren't going anywhere. Toss that silly, faddish notion in the nearest can. Great article and food for thought. Even seeing the different opinions is an interesting point to see different mentalities. Whether we like something or not, an idea is simply that and may lead to new angles.